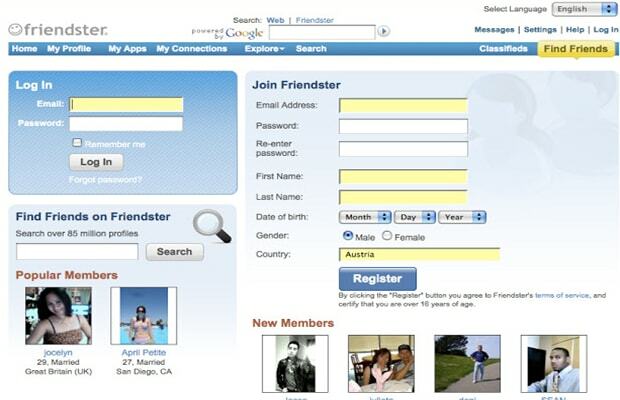 Friendster is credited as being one of the first social networks that led to the social networking age we now enjoy. It was founded in 2002, a year before Tom Anderson's Myspace, and received close to $50 million in funding. The site was popular, and Google made a bid to purchase the company for $30 million—an offer that was rejected (which is still considered one of the biggest mistakes in startup history). Friendster failed because it didn't implement what we use social media so much for now: sharing news. It was profiled-based, and unless you weren't going directly to other friends' pages, you weren't seeing anything new. If Friendster would've focused more in this department, it may have lasted just a bit longer in the social media war, and not have ended up as the gaming website it is today.